Other apps like Memorandum auto update the End to be bigger than the Start date. Which approach is better? and is there a better one? In my opinion, the "best approach" is the one that doesn't let the user commit the mistake/incompatibility in the first place because the system is designed in such a way that it is simply not possible. I guess different solutions are possible with those premises. From the examples above the meaning of “strike through“ or “red” is not clear enough for everyone. The user needs time to figure out what is wrong with the dates. It is frustrating. In the example with the connector it is uncomfortable to switch between daily and weekly-monthly views each time and difficult with big ranges. 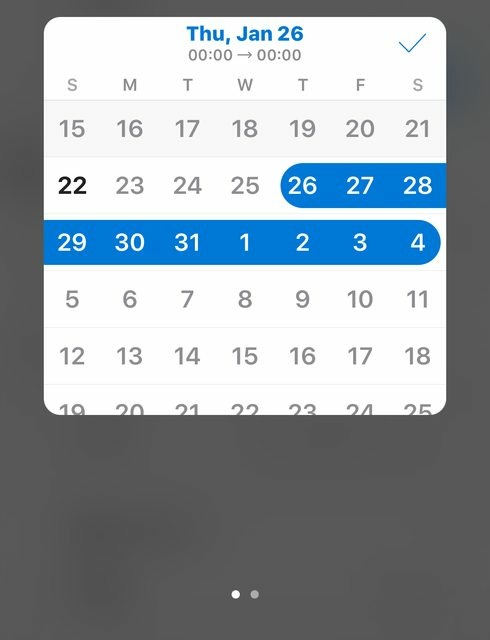 Blocking of the selection in the past in the date picker seems to be a more logical way. 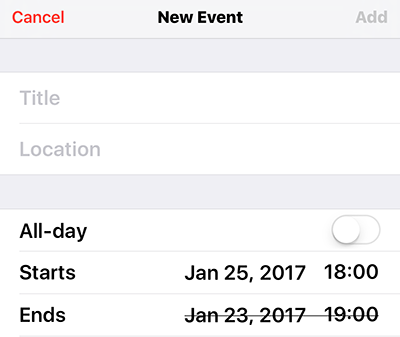 Though in case of editing the incorrect date is cleared, it could be improved with some undo feature. This means, preferably the user doesn't have to remember the first date in order to correctly select the second date. All UI implementations you showed can do this, with slider being the best - you intuitively can't shrink a rectangle to zero or negative length. And if I don't have meetings afterwards, only before, the start time becomes most important, then length. End time is mostly irrelevant. Not the answer you're looking for? 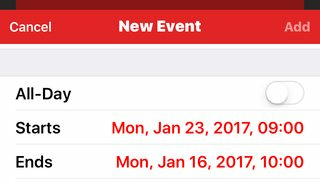 Browse other questions tagged interaction-design ios datetimepicker or ask your own question. 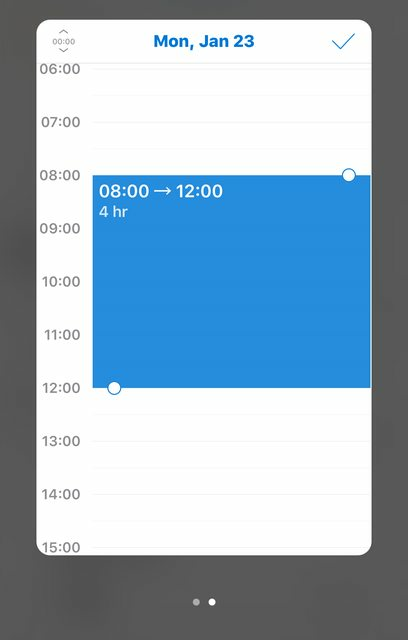 What is the recommended practice for using scrollable tabs for date navigation? 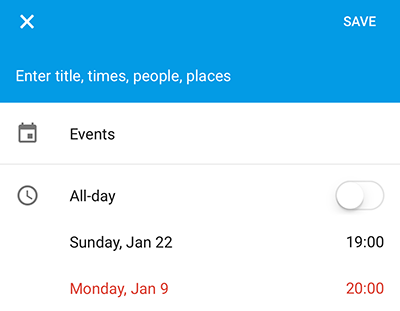 Should I use the native HTML5 date picker when available?